Black is back. Twenty years ago at a party in Hoboken I overheard a young punk mother complaining because she couldn’t find black baby clothes for her toddler. Today black is back. I got two presents wrapped in black. One was a brilliant new calendar from CD alum Ross Moody’s greeting collective, 55his.com. It couldn’t have come at a better time. Spoiler Alert: 2011 is ending in a less than 3 weeks. Sketches lifted from 55hi's blog about illustrating the 2012 calendar. 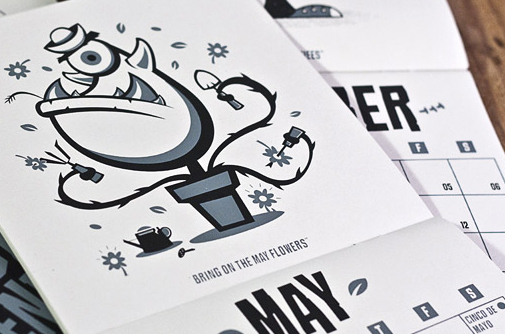 The Monster Calendar includes illustrations by Sock Monkee, Chris Sandlin. I got an artist’s proof, but the calendars available at 55his.com are part of a limited silkscreened edition. Illustrators will want to check out the 55hi’s blog to see the entire process of putting this work of art together. If you want to help save the U.S.Post Office, get over to 55hi’s for all your greeting card and gift needs. Or maybe save some money to spend at Sean Starwar’s site. The 2012 calendar picks up exactly where my Sean Starwar’s 2011 calendar leaves off. (see below.) Sean Starwars is one my favorite printmakers. Kutztown grad Jason Urban recently featured Starwars year-long printmaking project on the Printeresting site. Starwars grew up in Eastern Pennsylvania, but now lives in rural Mississippi. I’ve met him a few times, and he is the nicest hyper-guy you would like to meet. 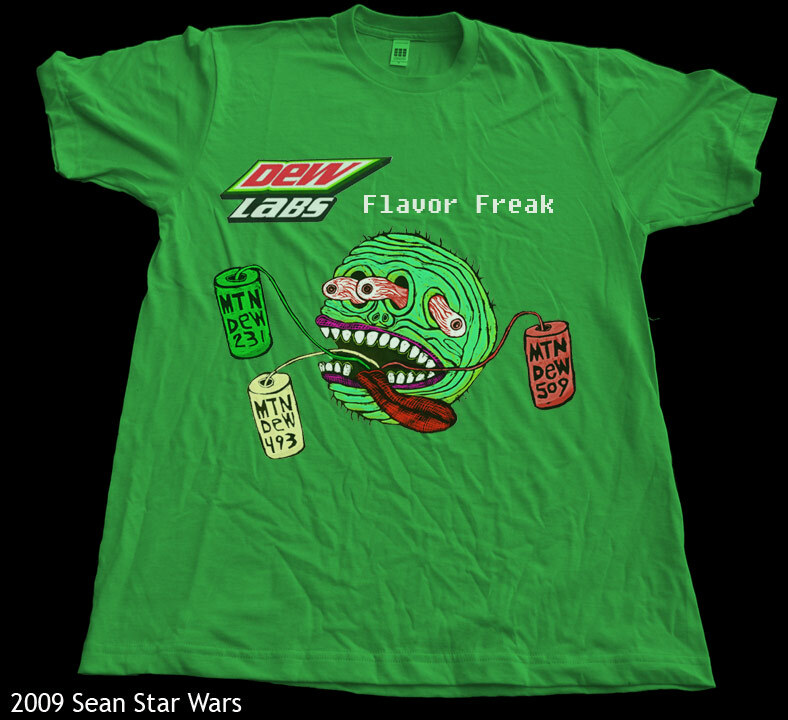 Sean has a voracious appetite for Mountain Dew. Somewhere on the internet there is a Youtube video where he demonstrates how to add your own caffeine and sugar in an emergency when your local Piggly-Wiggly has nothing left on the shelf but the diet caffeine-free version! Remember. If you buy a calendar, always, always, check the date! Awesome! I love it! I always find the process sketches especially interesting!